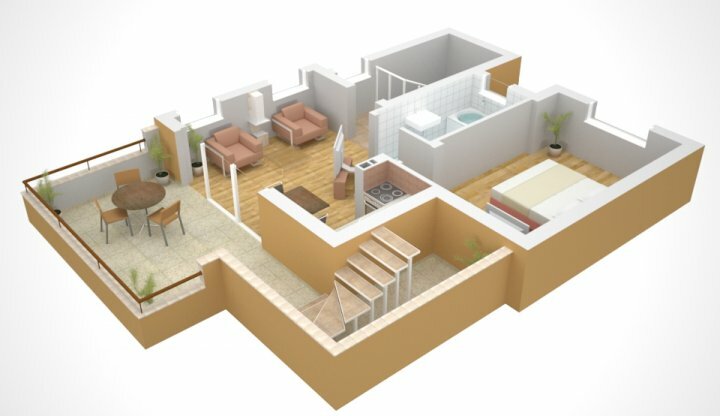 Top floor - one bedroom; one bathroom; living / kitchen area; large balcony. Access to roof terrace and garden via staircase in the corner. 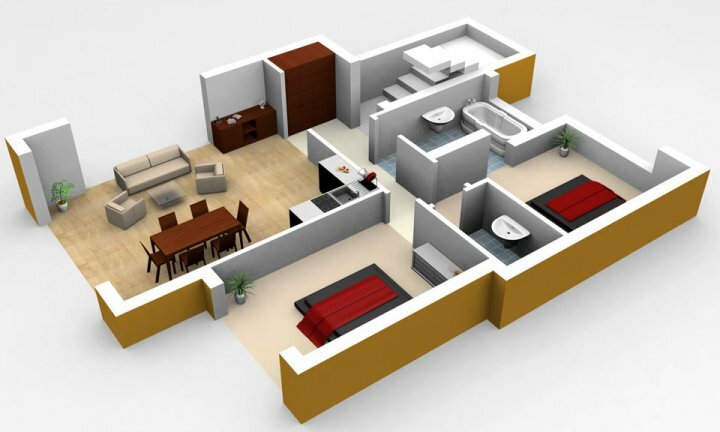 Middle floor - two bedrooms; two bathrooms; one living area with balcony, kitchen, lounge and optional second bed. Access to roof terrace and garden via staircase in the corner. 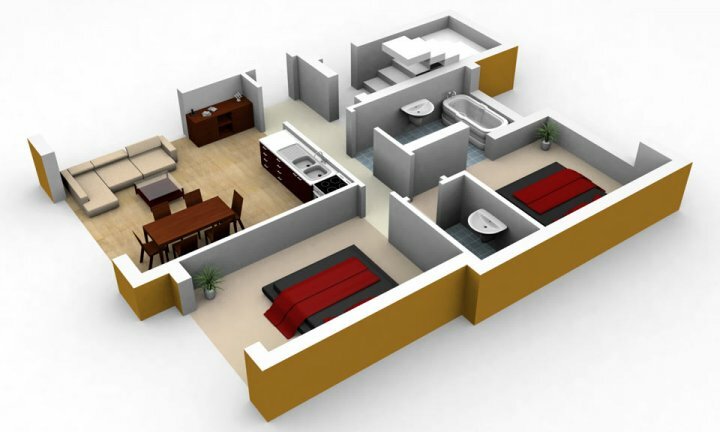 Ground floor - two bedrooms; two bathrooms; one living area with kitchen, lounge and optional second bed; direct access to garden with sliding windows. Access to roof terrace via staircase in the corner. Clever design: the staircase in the corner allows each floor to be rented out as a separate apartment with its own entrance. 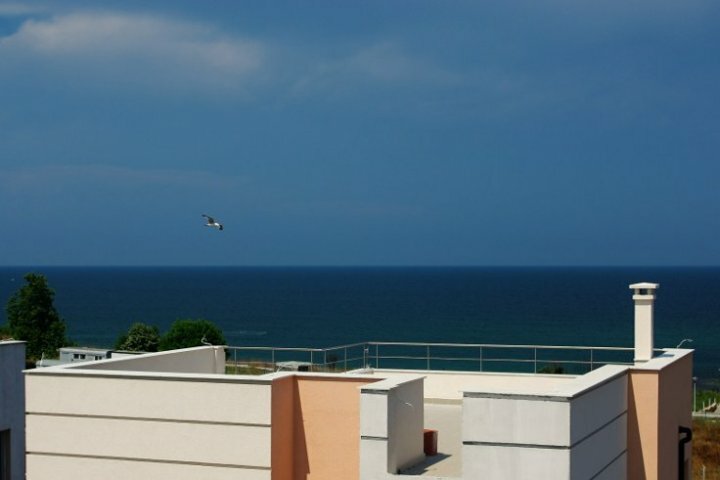 Sea-view from each floor of the house. 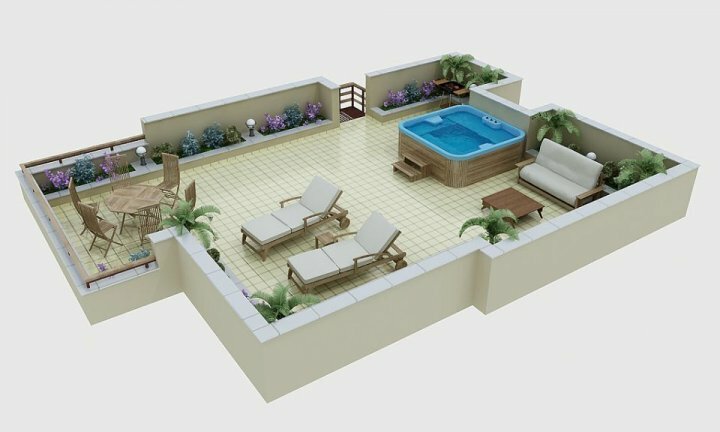 * A selection of jacuzzis, and choice of swimming pool design, are available at extra cost. 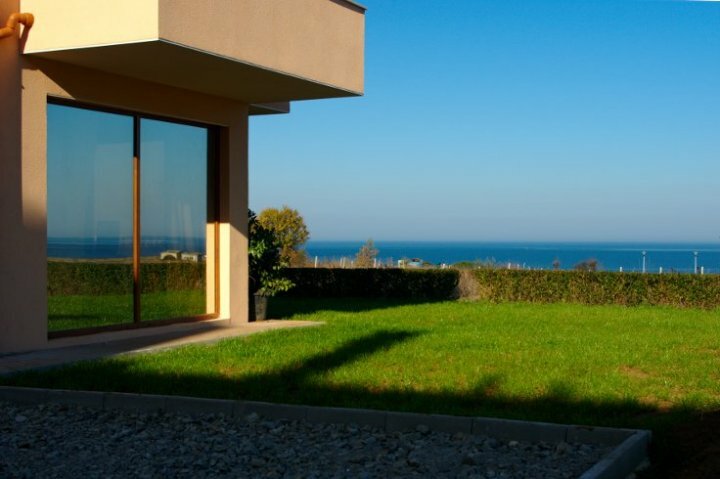 The Villa Una houses are detached and situated on their own plot of land. 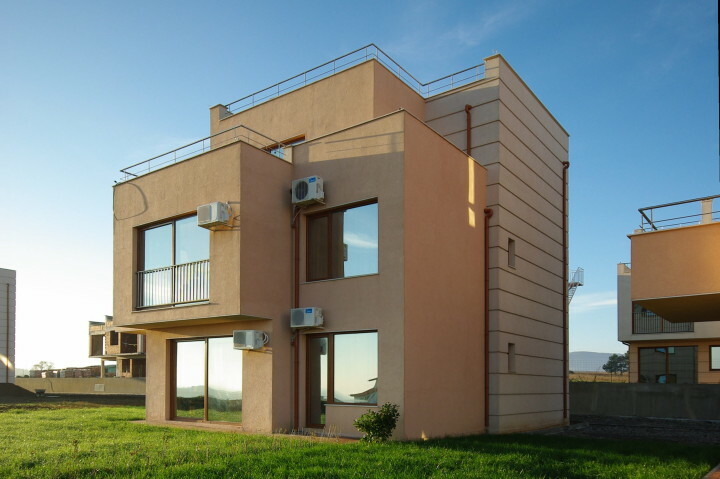 near Lozenets, the Bulgarian "St. Tropez"
Restaurants, bars, cafes, tennis courts, swimming pool, fitness and health centre, tourist information, shops, nightlife: everything is within walking distance. 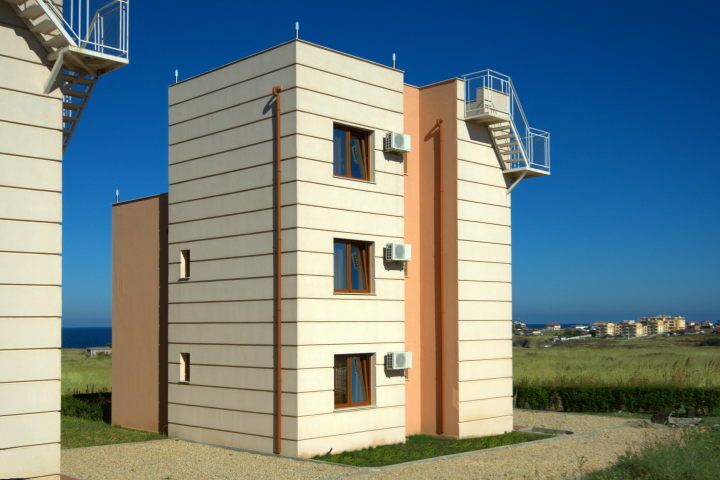 Located in a 'villa zone', the buildings are smaller, giving a more relaxed atmosphere. each villa is a separate building. Ideal for barbecues, parties or sunbathing. 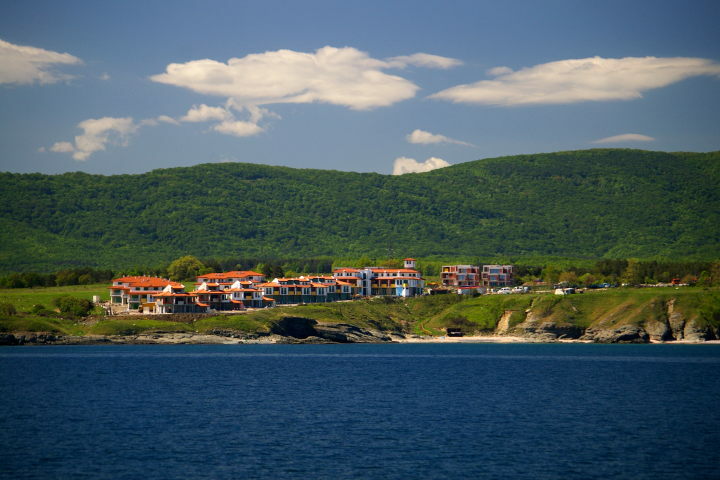 This is quite possibly one of the most desirable seaside real-estate projects in Bulgaria. Where else can you find all these attractive features combined together in one luxury development? Seagarden Villa Resort is in a fortunate location. With beaches to the east, countryside to the west, and Lozenets village to the north, everything is close by. Seagarden Villa Resort is south of Lozenets, near the Oasis resort and Lalov Egrek watersports centre, a favourite holiday destination for tourists. 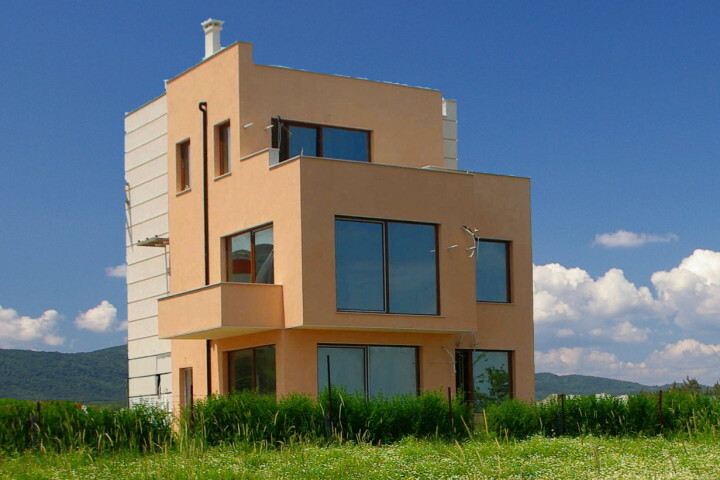 Many wealthy Bulgarians have chosen Lozenets for their holiday villas, including actresses, sportsmen and businessmen. 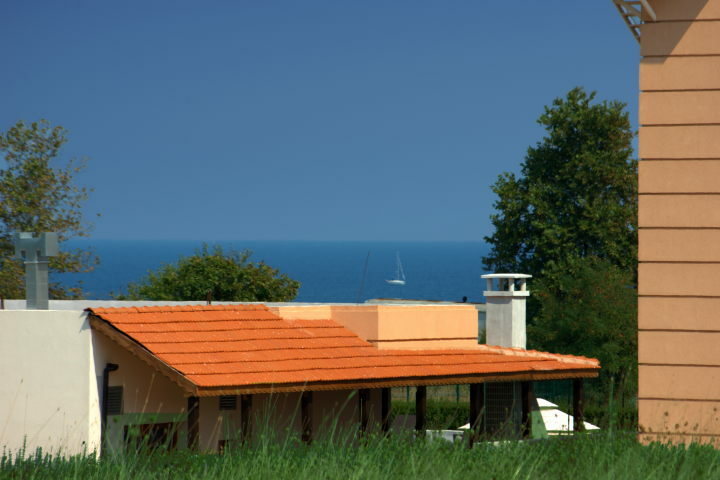 It is easy to get to, less than 50 minutes from Burgas airport on the coastal highway.